Power Sonic Ltd - Electrician based in Driffield, East Riding of Yorkshire. 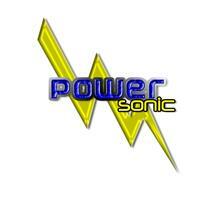 I am Mark Allison the owner of Power Sonic ltd, we have traded since 2006 and grown our reputation for fairness and quality. I myself have worked in the electrical industry since I was 16 which makes me experienced for 20 years at the time of writing. I hold full and relevant qualifications for installation and testing along with having served a full apprenticeship. I hold NVQ3, City and Guilds 2381,2382,2377,2391 and approved inspector status with NAPIT. My son started his apprenticeship with the company in 2015 and is currently progressing well with his aim of becoming a fully qualified electrician himself. We are very much a family run business. We provide electrical services from a simple light fitting exchange right through to new installations, rewires and commercial works. We regularly change fuse boxes for consumer units, install LED lighting, USB sockets and many many more installations. We are also registered with Trustmark which is a government run scheme for quality and fair trading. We hold full and valid insurance to protect our customers at every step in the process. Get in touch for a no hassle straight forward quotation with quality as standard right from the quotation stage through to delivery of finished and certified works.